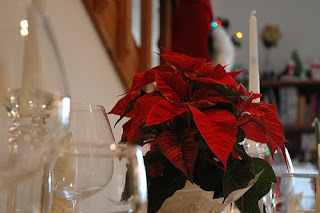 An ever-present ornament or decoration during Christmas is the poinsettia, also known as the Christmas Flower or Christmas Star. According to a Mexican legend, a child who was too poor to buy a gift in celebration of Jesus' birthday, gathered humble weeds from the side of the road and placed it at the church altar. A Christmas miracle happened and the weeds turned into brilliant red and green flowers. While considered by the Ancient Aztecs to be a symbol of purity, today the red, white or pink poinsettia is considered as a Christmas flower and symbolizes good cheer and success and is said to bring wishes of mirth and celebration.